Content marketing is the practice of distributing valuable information to your customer base to generate brand recognition, exposure and eventually, sales. Content marketing is the logical progression of traditional marketing and is increasingly relevant in today’s world of business. Today, customers require more than a quality product or service – they also require additional information to enhance their experience. They don’t want a hard sell – they want to feel invested in your business, and learn about what you have to offer. This might sound convoluted and difficult, but fear not! As content marketing has evolved, so has the range of tools and services available to create this type of promotional material. Companies have realised the benefit of content marketing. They have thus devised some wonderful resources that will enable you to create awesome marketing campaigns and generally improve your online presence. 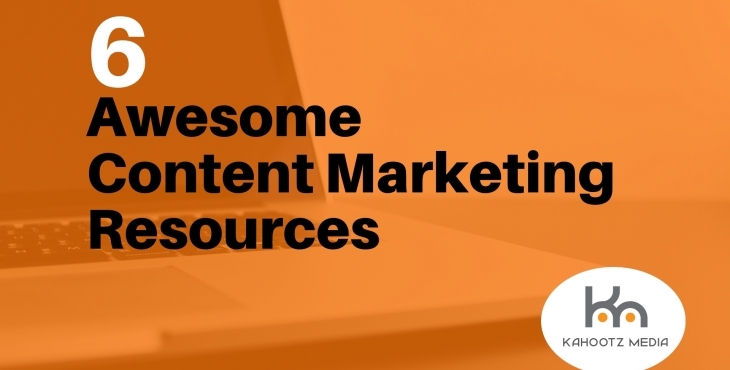 We have gathered a list of six superb content marketing resources for your benefit. These resources span a range of purposes including complete marketing platforms, copywriting, analytics and social media management. HubSpot is a one-stop-shop for content marketing. This successful and popular platform includes tools for web analytics, content management, SEO and social media marketing. If you register an account with HubSpot, you will have access to a myriad of statistics that will enable you to improve your content marketing. The HubSpot trio of tools includes the Marketing Hub, CRM Free and Sales Hub – each product helps you improve a different aspect of your digital marketing- what more could you want from a free service? BuzzSumo offers a similar service to HubSpot and is another superb content marketing tool. This platform takes analysis and insight to new levels – using BuzzSumo, you can gain insight into your competitors marketing strategies, and even look at what keywords are used in conjunction with your own marketing. This level of detail and analysis will allow you to create targeted content marketing solutions, and greatly increase the effectiveness of your campaigns. Some small businesses may struggle to devote the time to write effective content. If you run a small business, you may find it difficult to employ a full-time content writer. This is where Copify offers huge benefits. Copify is a freelance writing service – by using the Copify platform, you can find copywriters who can create fantastic content for your business. This is much cheaper than hiring a dedicated member of staff, and the quality of work is generally good. All Copify writers are fully vetted beforehand to further guarantee the service you will receive. Google Analytics is one of the most well-known analytical tools available on the web. Although created in 2005, this analytical platform remains influential and has evolved as new trends in content marketing have emerged. Google Analytics provides in-depth statistics relating to practically every aspect of web traffic. You can analyse unique visitors, average visit length, user demographics and even number of visits per day. You can use this set of detailed statistics to improve the performance of your website and understand how visitors are interacting with your content. Tweriod is a revolutionary content marketing tool that allows you to tailor your Twitter posts. For businesses that make regular use of this social media platform, Tweriod could greatly improve the effectiveness of your content exposure. Tweriod generates detailed reports that define the most suitable time periods for you to post new Tweets – the software analyses millions of tweets and accounts to find certain time periods that generate the best results. For example, Tweriod may report that your Tweets will be seen by the greatest number of users at 19:00 on a weekday and 11:00 on a Saturday for example – this type of analysis is vital for a successful Twitter campaign! Hootsuite Insights provides comprehensive data across many social media accounts and platforms. This tool relies on some more advanced user knowledge, as there’s no rating system to help you along the way. You will, however, have access to considerable metrics, that you can use to monitor and amend your content accordingly to increase effectiveness. These are just a handful of the tools available and there are much more on the web – if you wanted, you could use a different tool for practically every aspect of content marketing! We believe by using a combination of the tools listed above, that you can improve your content marketing, and create efficient campaigns that generate tangible results.